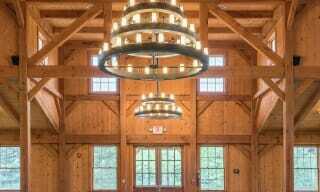 Vermont Timber Works is the industry leader in timber framing and post and beam construction since 1987. We began designing and building homes from start to finish, so we have a thorough knowledge of every aspect of construction. 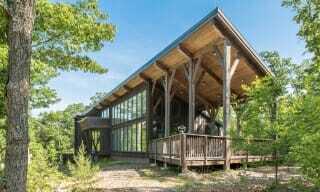 In 2000 we began focusing exclusively on manufacturing timber frames and post and beam structures for delivery nationwide in the USA and Canada. Recently we helped design a timber roof system for a resort in Belize, and look forward to working on more international projects. 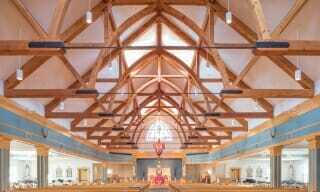 Much of our work is highly technical, with some structures as long as 80′, spanned by bold, heavy timber trusses, while smaller buildings may be elegantly crafted with graceful arches, curves and detailing. 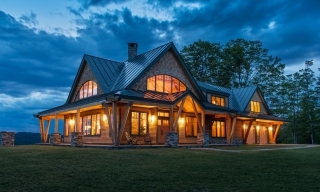 Vermont Timber Works is committed to designing, fabricating, and erecting Timber Frames that will stand the test of time. Everything we build is totally custom and is designed according to the rigorous standards of every individual client we collaborate with. 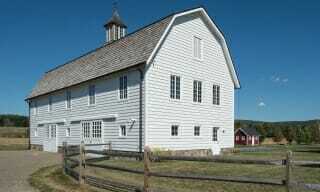 Timber Frame Design and Construction. State-of-the-art 3D computer generated design. Time-tested fabrication methods using highest quality timber available. 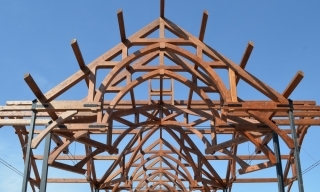 A hard-working, reliable crew proficient in every phase of the timber frame process. Structural strength, aesthetic beauty, durable materials, competitive pricing. Our work is versatile, beautiful, strong and innovative. You’ll see that we create structures that are spacious or intimate, rustic or refined, public or private, for a broad range of uses and settings. Our philosophy is to meet individual clients’ architectural needs. Collaborating throughout the process, we ensure that their requirements are met, their personal aesthetic articulated and their overall vision realized. After settling on a preliminary design, we will provide a 3D, computer generated model of your project for you to review prior to fabrication. You will see exactly where all the posts, beams and braces will go, as well as details such as joinery methods, and how your project will look once completed. We pride ourselves in being a “hands-on” company, with all employees participating in various aspects of the process as a team, from design and engineering to fabrication and finally to raising the timbers. Our timber frames can be shipped anywhere in the world.